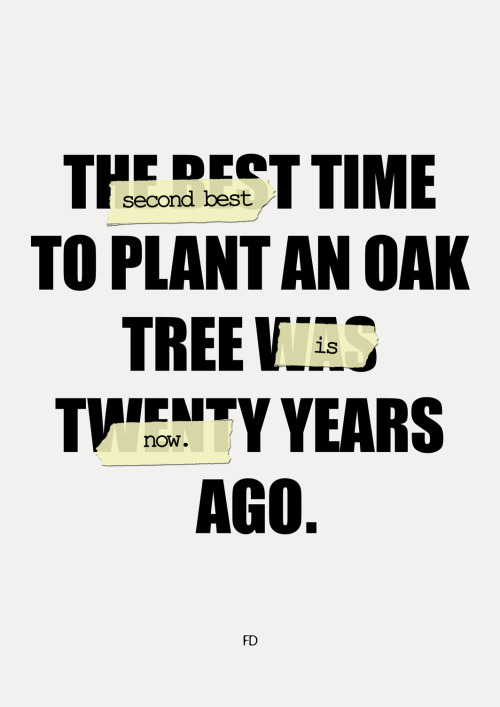 We hear this all the time – ‘It works, if it’s done at the right time’. Just do it now or sooner than later. Starting a business, investing in markets, or simply wanting to learn something new. There is no such thing as ‘the’ right time. If it works, it was always the right time, if it doesn’t it just wasn’t the right time. Big deal. You learn. Those who we think timed it well actually had no clue about timings. They just did it. The thing is you have no control over the timing. So just do it. Can you really be unlucky in life? On July 26, 2015, during one of my weight lifting sessions in my gym that Sunday morning, I had a momentary lapse of concentration and accidently lost balance of my weights. I was carrying 20 kgs weights in each hand. It slipped for a moment, but then I regained control. I then continued to do my exercise. But later that afternoon, my wrist started to pain. The next day my doctor confirmed that I had a triangular fibrocartilage complex tear. The TFCC is located on the small finger side of the wrist that cushions and supports the small carpal bones and wrist movement. This portion receives very little blood supply and therefore takes a long time to heal. I had to wear a wrist supporter for the next few months I was told that I couldn’t lift weight for at least 4-6 months, till it was healed enough, and even after that the process would be slow. I was devastated that I couldn’t lift weights. The year before, I was doing more weights, as I had leg cartridge issues in my past which let me do only limited cardio exercises. Now I was unable to do even weights. For me exercise was not just to remain healthy, it was an intrinsic part of who I was -it defined my mood. I also was angry on my fate, which led me to this injury. 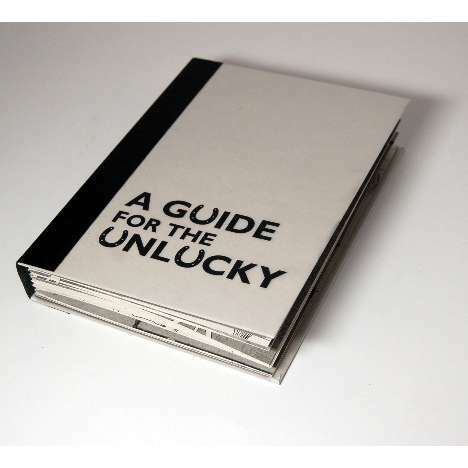 Just felt unlucky – why did it happen to me? There were so many people at the gym who I have been observing since the last 10 years, and I never see anyone get that injury before? Lifting anything now was bit of a struggle; the pain lasted longer than I thought. It took me at least 8 months to recover enough to start lifting weights again. However even today, I still don’t have the original strength in my wrist like before. But I do manage to lift. So the question I asked myself many times during the last few months is why it happened to me? In fact it was had become a trend. I had 3 major injuries over the last 4 years, Each time I improved my routines, I ended up injuring myself and it sets me back by few months. It was really frustrating. Then a couple of months later something happened. A realization. One day, I was getting late to office and was rushing around trying to get everything ready. As I was heading towards the bathroom for a quick shower, I almost slipped due to the wet floor, but quickly gathered my balance, avoided a possible fall. I was in so much of hurry that I carried on for the shower, as if nothing happened. Suddenly a moment of realization then struck, that maybe had I actually fallen, it could have been really bad. It was marble flooring, and I could have hurt my back, shoulder, anything. It could have resulted in bed rest for god knows what time. But all that didn’t happen. In fact nothing happened. But I guess, I was never grateful for that save. And then I realised, that many times I have been saved from such disasters, whether it was during a moment of rash driving, or slipping on the stairs, or simply just falling off the bed. The last one happened during the time I was writing this post. All those moments could have ended up in some form of injury. However if we closely observe our response during such situations, what do we generally do? We merely express a sense of relief for a couple of seconds, and are back in our regular life. Not that it will take away the pain, but it would certainly make you realize that things could have been worse and you were saved on those occasions. You need to realize that, the law of averages simply catch up someday. As for me, post that realization, in my own small way, this injury did not let me affect me negatively. Yes I could not lift weights, so I focussed on other form of exercises and more on my diet which helped keep my body weight in check. Since March 2016, I began my weight routines from basic level. Even today I still have nagging pain after a session of lifting weights. However I accept this pain, as part of my life not letting it hamper my spirit. That I can never be fully fit for lifting heavy weight may be a reality, but if I realize the many times I have been saved, I can only consider myself overall lucky. I think we tend to remember only the negatives in our life (that they should not be considered negatives is a different story altogether), we downplay the positives and more importantly the possible negatives which were avoided during the course of our lifetime. As those also are positives in much bigger way. Cause if we look at that in totality we all have been terribly lucky for sure. If you still don’t believe me. Try to remember all various instances which could have been possible negatives and you got saved. 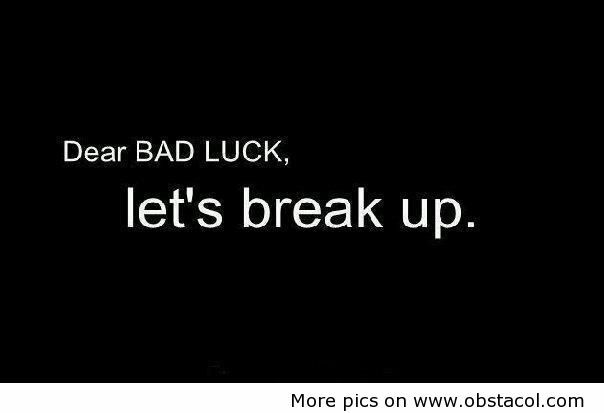 You would surely consider yourself lucky. Visiting the Great Wall of China was high on our bucket list, but we never got a chance to be there. Last December, we got that chance. 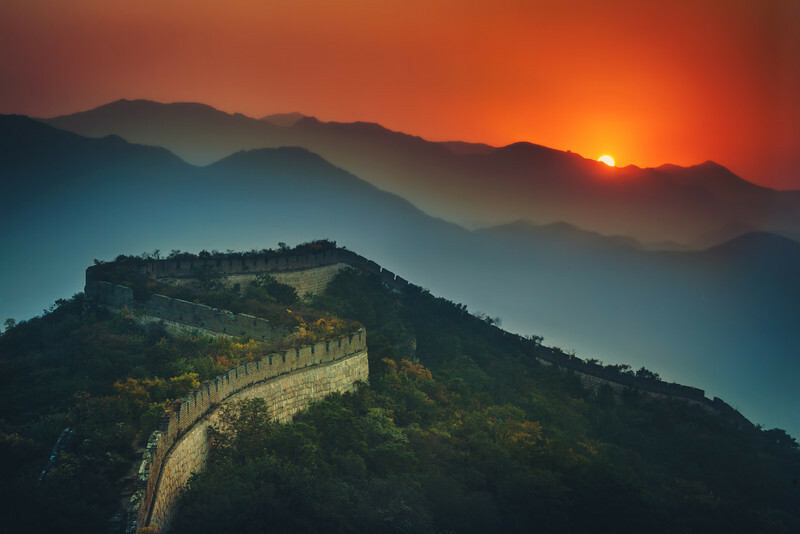 We had planned our new year in Japan and managed to squeeze in a couple of extra days to do a stopover at Beijing just to see the Great Wall of China. The best part was, the journey was almost free. The stopover route Mumbai – Beijing – Tokyo – Mumbai, turned out to be cheaper than Mumbai – Tokyo – Mumbai! And so we jumped on this opportunity. I will be writing a separate blog post to cover this hack. Also if you qualify for the China 72 hour transit visa, it’s a great advantage. So on Christmas day, we took a flight for the first leg of our tour, from Mumbai to Beijing . Beijing was brutally cold on arrival. Not the best time to visit this city. There was heavy smog and hardly anyone was outdoors. 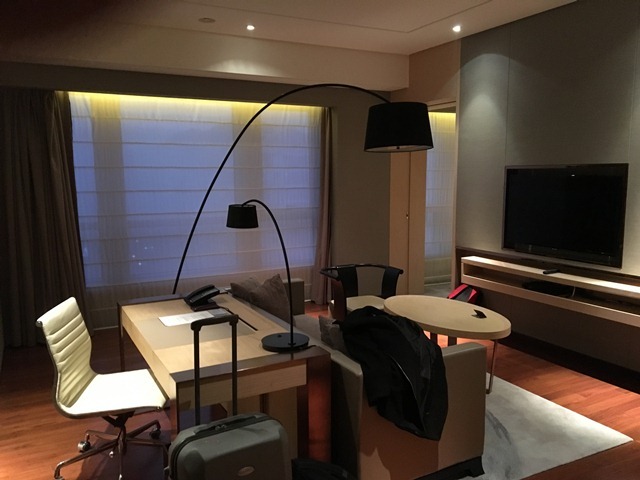 We stayed at this fantastic 5 star property (ranked 10th best in Beijing) New World hotel Beijing at Chongwenmen district. Check my review here. They even upgraded us to a suite. The location was just perfect. Easily accessible to all the major sightseeing locations in Beijing including Forbidden City, the Temple of Heaven, Tiananmen Square, and the Summer Palace. Since we had just a day to visit the Great Wall of China, we had done extensive research, and carried notes to ensure we don’t lose much time and lose our way. And this blog intends to share all that information, so that it makes your journey hassle free and more enjoyable. I would like to mention that the details presented in this blog, are for the trip we undertook in December 2015, so there could be a possibility of changes when you travel. Do check for latest updates on other websites too. We celebrate our anniversary in September, and it was time to take that much needed mini vacation. Due to hectic schedules, we could not plan anything in advance. We were toying on the dates when we received a great a great promotional offer for Colombo tickets we plunged into it. We have a history of planning trips last moment, and this time was no different. We decided to do a quick, 3 day trip to Srilanka. We had hardly a week to plan everything, so it was pretty hectic but exciting nonetheless. Thanks again to Trip advisor and the numerous blogs about Srilanka which helped us plan our itinerary. Since we had limited time, and based on the feedback we could gather, we decided to spend minimum time in Colombo, and head straight to Kandy, the cultural capital of Srilanka. Besides Kandy, we included Nuwara Eliya (little England) for our trip. It was action packed trip with lot things to do. Ideally should be done over a 5 day period. However, since we are used to packing in so many things in so little time, we went ahead with it anyways. To maximize the time we had for this holiday, we took early morning flight. This one landed in Colombo at 5 am and then we then headed to a hotel closeby and for a short nap and woke up around 8.30 am. Headed straight to Kandy. After celebrating previous New Years Eve in London and New York, this time around we were looking for a different experience. Japan was not really in our consideration set, when we began planning. However as we did more research, (during the same time we watched the movie, Lost in Translation), our interest in Japan grew stronger, the possibility of experiencing a different culture was exciting. After having spent 2 weeks in the awesome country, I am convinced that Japan should among the top 5 countries to visit around the world. However the reason it’s not there currently is simply because Japan does not promote itself aggressively. It’s not their culture to promote, but I have to admit once you are there, they will give you the experience of a lifetime. Japan is not an easy country to travel, language is a barrier, travel is bit tough, roads don’t really have names, food is different and the big cities are terribly crowded and have a complex travel system. So you need to plan well if you are to really take advantage of what Japan has to offer. 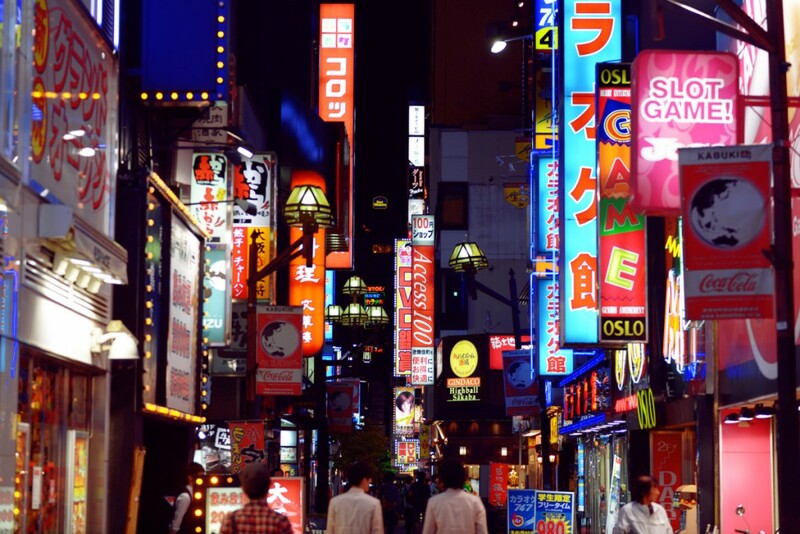 We did a lot of research ( we had only two weeks since we planned this last moment), and based on our travel experience, we thought about putting together a primer on the Top 10 tips for travel to Tokyo, Japan. We start with Tokyo since we spent most time in this city and we shall soon share tips for other cities we visited.